Today I'm checking out Dunkel by Brasserie Vrooden out of Granby, Quebec. Dunkels are a nice, hefty and dark kind of dark lagers that are really appreciative in the late autumn to the winter time. 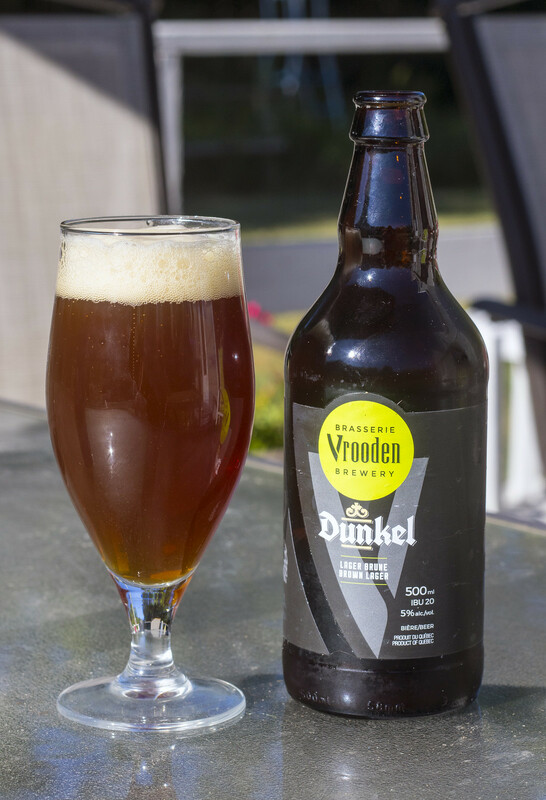 Vrooden's Dunkel is described as being a brown, malty lager with a dry finish, as well as having low bitterness with biscuit, hazelnut, vanilla and chocolate aroma. 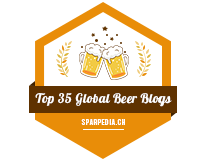 Brewed with premium quality German malts and hops with traditional brewing methods. Appearance: Pours a rich, caramely, nutty brown, and a thick, frothy French vanilla ice cream looking head on top. Aroma: Incredibly nutty up front - mildly roasted malt, gives it a sweet caramel presence with notes of dark fruits (raisins), a bit of an earthiness, a light boozey presence and a hint of vanilla. Taste: Good amount of sweetness in this beer as the notes of dark fruits and caramel pop up in every sip. There's a hefty presence of burnt toast with a bit of a charred woodiness presence to it, somewhat nutty, fairly easy to drink. Quite dry for mouthfeel, and leaves behind a light bitter yet earthy flavour for aftertaste. Overall Thoughts: I'm not too keen on this beer, it's quite reminiscent of most Dunkels I've had but I found it fairly boring. 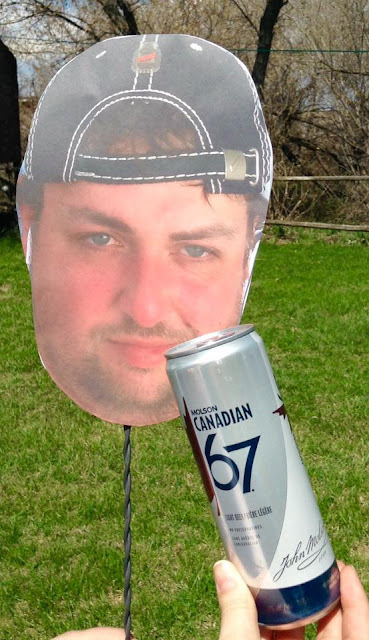 I don't know what I'd change in the beer though.. maybe more sweetness? The earthiness of the beer is nice but there's just something that just makes me go meh.